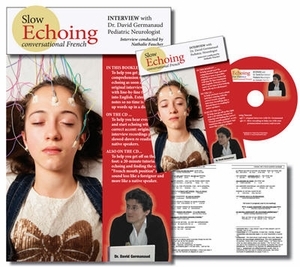 Learn in the car by echoing two types of recordings : the original interview and a slowed-down re-reading: perfect for learning to understand spoken French or for improving your French "oral gymnastics" so your accent improves. How Dr. Germanaud chose his specialty. Teamwork in a large French hospital. Pace of working in the ER. Recent improvements in welcoming the families of sick children into the hospital.